Role playing positive and healthy friendships is a wonderful way for young people to see, feel and be a good friend. 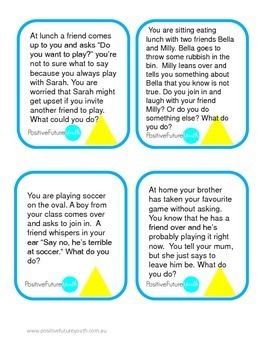 Through role play kids can start to understand what a good friend is and what qualities a good friend needs to have. This results in a more positive friendship group. 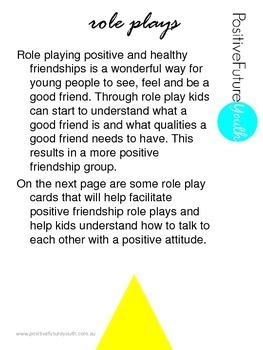 This free product will help facilitate positive friendship role plays and help kids understand how to talk to each other with a positive attitude.